Johnny Marr is one of the most influential guitarists to ever come out of England. Not only has he been an inspiration for such amazing bands as Oasis and The Stone Roses, but he can do more with six strings than almost any other guitarist out there. In fact he was very deservedly honoured last month by NME with their Godlike Genius Award. Having spent the last twenty plus years since the break-up of The Smiths being a gun-for-hire in various well-known bands, he has finally decided to bring out a solo album, The Messenger. The huge gap between his career in the smiths and this record makes it something of an odd proposition to say the least. While there have been few lulls in his CV, he has always tried his best to blend into these other groups as opposed to morphing them into some kind of The Smiths tribute act. As a result, there hasn’t really been an avenue for one to enjoy Marr’s trademark pristine snappy guitar style since Morrissey, Joyce, Rourke and himself parted ways. However, is this album the classic Marr that his fans have been waiting for? 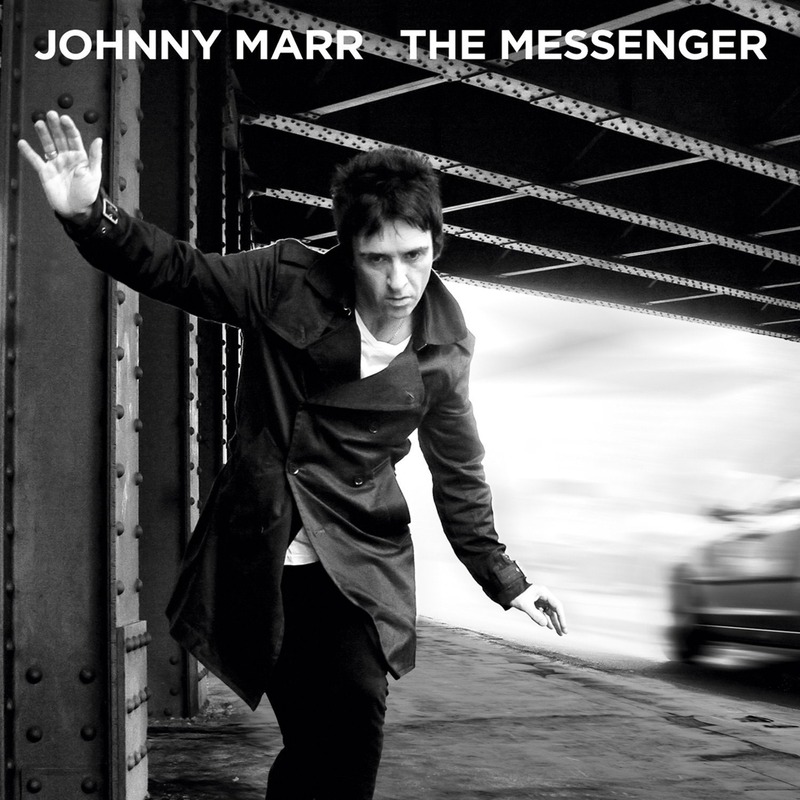 From the first track of The Messenger, you really do get a feeling that it is Marr being himself, which is probably a feeling emphasised by the fact he has spent the last two decades trying to be anything but himself. Everything is present: his amazing ear for hooks, his flawless guitar playing and his almost orchestral guitar sound. But despite all the familiar traits in the sound of this album there are obvious differences. Firstly Marr’s choice of tone has bulked up considerably; it’s never something which seems out of place but it certainly has less of the jangle than you might expect typically expect from him. Another area where The Messenger deviates from his prior work is in its rhythm section. While it is perfectly acceptable, it just doesn’t have the idiosyncrasies of Rourke and Joyce in The Smiths. There are also areas where it lacks the natural feeling of some of the other groups from Marr’s discography. On occasion it feels as much like ticking boxes than it really feels like an organic part of the sound, for example in ‘Upstarts’. Still it does not subtract too much from the overall enjoyment. While these are all important aspects of the album, it would be remiss not to focus most upon the vocals of the record. To be perfectly honest I think Johnny Marr is a more than capable vocalist and probably serves the duty far better than some ‘proper’ singers do, but there is always this damning curiosity at the back of your head which, on occasion, will query just how Morrissey’s melodies would have fit over the top of certain tracks like ‘Lockdown’. This is extremely unfortunate, but when you are inevitably going to be compared to one of the most prolific lead singers of all time, you are going to have trouble filling those shoes. The lyrics, for me, are really a bit more of a stumbling block. Morrissey’s lyrics are made up of blunt witticisms which are as likely to make you laugh as cry, where as many of Marr’s feel like they are just there because a man singing a melody line with no words would sound stupid. They are not bad or even uninteresting, but when you’re most well-known for providing the music for a man who is the pop hybrid of Oscar Wilde and James Dean, you are bound to struggle. It is a pity that one can’t help but compare this to Marr’s back catalogue, because when taken out of context of his other work it is a really solid album. Tracks like ‘The Right Thing Right’ and ‘European Me’ instantly feel memorable and are crafted with a careful consideration which you wouldn’t expect from a man whom has nothing to prove musically to his audience. I would recommend The Messenger to both those with an affinity for Marr’s past work and those ignorant of his genius as you will get a collection of fantastic songs. However, if you a prior fan you should take it for what it is, a solo album, and be weary of expecting a one-man-band version of The Smiths.